Susannah Meadows is the author of the new book The Other Side of Impossible: Ordinary People Who Faced Daunting Medical Challenges and Refused to Give Up. 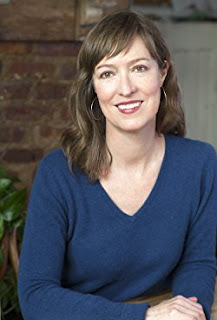 A former senior writer for Newsweek, her work has also appeared in The New York Times. She lives in Brooklyn. Q: What did your family's experience with your son's arthritis tell you about the refusal to give up? A: When my son Shepherd made an unexpected recovery from autoimmune arthritis--we were told he'd struggle with it for life and always have to be on medication--it was pretty transformative. It made me realize that even when you think you've run out of options, there might be something else that can help. Given that, how can you not keep trying things? Now I understand that if you're faced with a disease and are told it's unsolvable, it's time to get to work. To me that means digging into the medical literature yourself, reaching out to others dealing with the same issue to see if they've heard of something that might help, and seeing a lot of different doctors. After all, medicine is a human enterprise; one doctor can't possibly know everything. Q: Why did you decide to write this book, and how did you find the other families you write about? A: I thought sharing our story might help another family. I first wrote about it in The New York Times Magazine. While I was working on that story, talking to researchers and doctors, I heard about a lot of other people who'd refused to give up when faced with an impossible illness. An NIH researcher told me about her sister-in-law who was fighting to find an answer for her daughter's intractable epilepsy. When I reached out to her, she asked me if I'd ever heard of Terry Wahls, a woman with MS who was using a wheelchair, then changed her diet, among other things, and was now riding a bike again. From my sister, I learned about a woman without a medical background who'd developed a therapy for severe food allergies and was having a lot of anecdotal success. (My niece, for one, had recovered from 14 food allergies.) As a journalist, I recognized that these were incredible stories and wanted to understand them more. A: It took a long time to figure out the title. For a while I was calling the book "If At First," because it suggests the theme of trying and trying again. But "If At First" is also the title, I learned, of Keith Hernandez's autobiography, and because he was a first baseman, it's much more appropriate for him! At one point my editor wrote a memo to me about the book and referred to the people as trying to get to the other side of impossible situations. 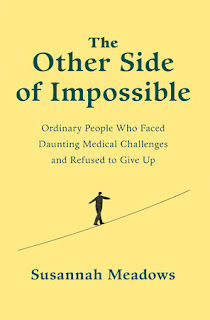 The second I read that, I wrote down, "The Other Side of Impossible." To me it captures the idea of the book best: that something that seems impossible is not necessarily so. If you hit a wall, you might be able to push through. Q: What kind of research did you do to write the book, and did you learn anything that especially surprised you? A: There was no doing this book without doing the research--looking to see if there was any science that could explain why some of the interventions people tried might have worked. The big surprise was how much there was! I kept thinking, how do we not all know this? In my son's case, we had been told, emphatically, by a doctor who had a reputation as one of the best in her field, that changing our son's diet would not help his arthritis. Well, it turns out that there are quite a few studies to suggest that certain diet changes can improve symptoms of autoimmune arthritis significantly. And this seemed to be the case for Shepherd too. A: The book just came out, so I'm still busy with this book. I've been traveling and doing my best to get the word out. A: One of the things that amazed me about the people I wrote about was that they were able to be hopeful even when they had no reason to be. This probably made the difference. Not only is hope a prerequisite of persistence, but believing you can get better can actually have therapeutic effects. This is the placebo effect--the healing that happens when you believe you're doing something to make you better.